Black is synonymous with being classy that is why it is a favorite color. 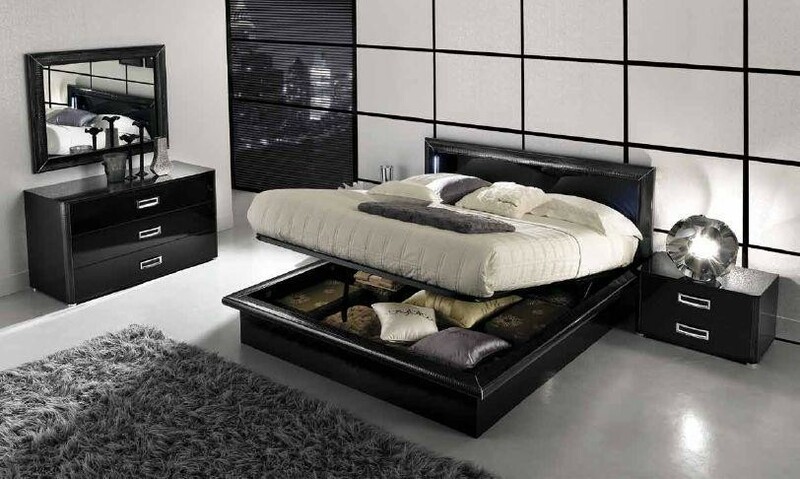 The combination of black and white colors for your decor can give your bedroom a completely dazzling new look. Here in this article, you will find the ways of how black and white bedding or spreads can revolutionize your decor. You can use the color black in all of your rooms to achieve a classier interior look, but avoid overdoing it. 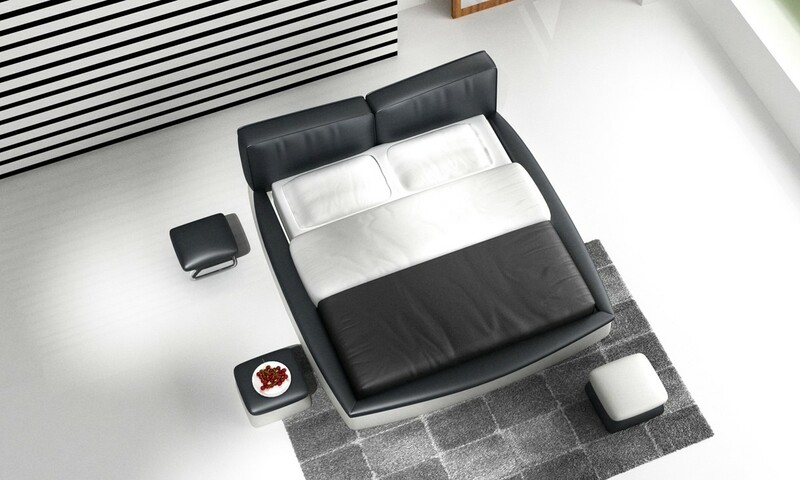 The J211B Contemporary Black and White Eco-Leather Bed paired with black and white nightstand and dresser, lampshade, jar, photo with black frame, and area rug projects a classy bedroom look. The walls and floor were painted in white that enhances the striking appeal of this modern bedroom. If you want to attract people towards your room decor then you should either paint your walls in black or buy black modern bedroom furniture or any kind of black décor or accessory. Everyone will focus on your black decor as it highlights a particular area. If you want to make your room decor even more fascinating you should mix white with arresting black. For example, have a white comforter with black subtle patterns or accents. 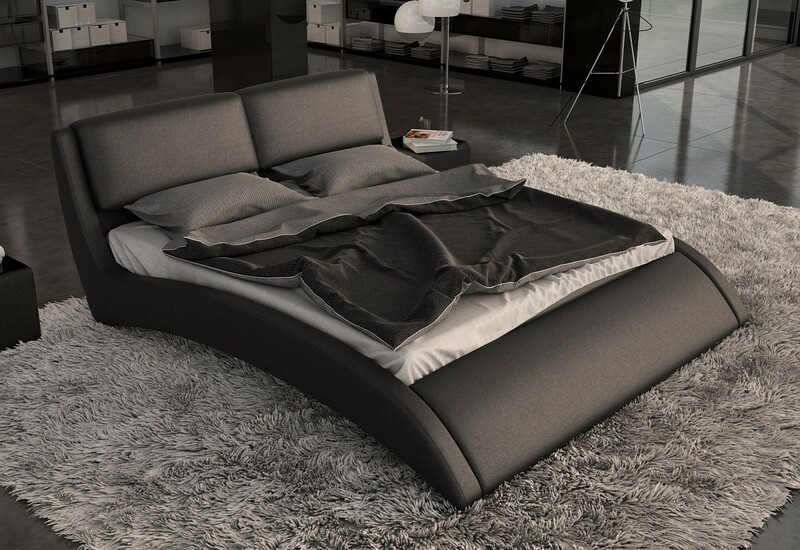 By using the classic combination of black and white for your modern bed or other decorative items, you can simply add elegance to your bedroom. Whatever decorating style you want for a room, adopting black and white colors will make it look superb and wondrous. The colors black and white are commonly used by French decorators by choosing linens or spreads in black. To make your modern bedroom jazzier, add a dash of other colors like yellow, red, purple or pink. Let’s see how you can make use of this wonderful color combination for your room décor. The bed sheets and spreads are most important part of bedroom decor. You can either try white bed covers with some authentic style or you can choose white with black accents. You can make completely contrasting choice of using some bright colorful bed cover while using the combination of white with black for other items of the room décor. You can even think of having a mix and match theme to add more taste to your décor. White curtains with black trimmings and white comforter with black patterns can make your modern bedroom look more sophisticated and sparkling. Make sure to choose the pattern that matches with all the other items in your room. Using liners along with the curtains will be a smart choice, as it allows an appropriate amount of sunlight to enter into your room and would even prevent the light from going out of your room. The patterned headboard of this modern bed made an alluring impression while the tall floor lamp with black shade enhanced its luxurious feel. Whatever interior decorating style you want to adopt for your bedroom, this black and white color combination will work well with anything, giving your room a sophisticated, luxurious look. LA modern furniture offers you numerous ways to use this pair of colors in decorating your bedroom.